Learn how to access the mysterious Enclave bunker and unlock new quests and weapons by joining them. The mysterious and sinister Enclave have long been considered villains in the Fallout series, but in the multiplayer world of Fallout 76 you’ll have the chance to sign up with them and even earn the mighty Laser Minigun. It’s no easy feat, but in this guide we’ll teach you where and how to join the Enclave in Fallout 76. If you want to join the Enclave, the first step knowing where to look. 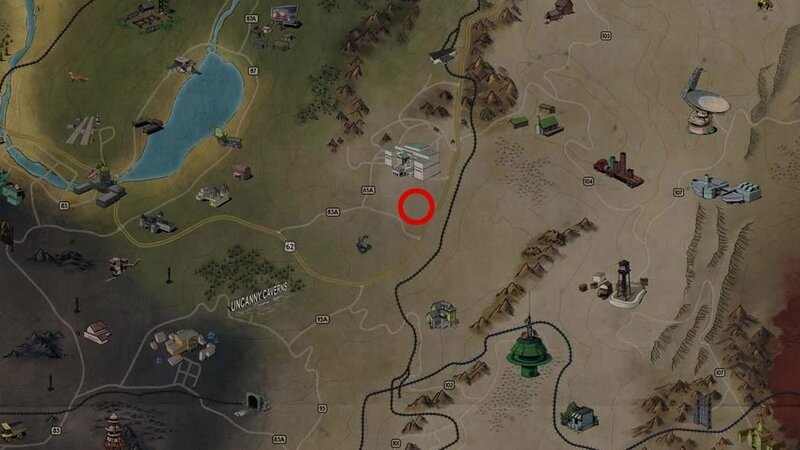 The Enclave bunker is hidden in the center of the map within Whitespring Bunker, but before you can access it you’ll need to obtain some secret instructions. 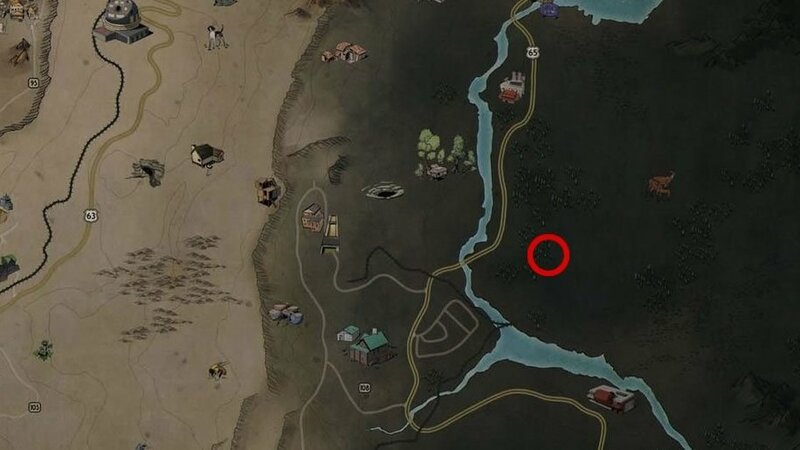 For those you first need to take a detour to the Abandoned Waste Dump in the central east side of the map. You’ll need to travel beyond the river, close to Berkeley Springs to reach it, but be prepared for a fight once you get there. The Abandoned Waste Dump is an extremely dangerous area with not one but two Deathclaws prowling its entrance. There’s no real way round them, but if possible try to take them on one at a time. If you’re not strong enough then you may need to come back later after a bit of levelling. With the Deathclaws defeated, head into the Abandoned Waste Dump and enter the cave there. Inside you’ll find a former Enclave grunt, sadly no longer fit to walk the wasteland. Check his body to find the instructions for accessing the Enclave Bunker and kick off the Bunker Buster mission. You’re now ready to make your way to Whitespring Bunker, located between Route 63A and some train tracks. If you head south from Whitespring Resort you’ll make it in no time. Enter the bunker and an AI named MODUS will stop you, giving a new quest you need to beat if you want to join the Enclave. Travel up to Sugar Grove as instructed and beat the Robot Guardian there to fulfill the final requirements and join the secret (and probably evil) club. Once you return to Whitespring Bunker you’ll now have access to the Enclave terminal and its unique set of quests to complete. You can also use their shop to snag the Laser Minigun plans for 1000 Caps. Finally, the ultimate bonus of Enclave membership is access to one of the map’s few nuke launch sites, though isn’t that what got the world into all this trouble in the first place? Probably not a good idea to- wait. Why are you reaching for that button? Get your Fallout 76 adventure off in style with more of our guides. Here’s how to get your hands on a Hazmat Suit, or take it a step further with our Power Armor guide. Need to munch on some snacks? Here’s how to mute your mic in multiplayer.